When we think of drug problems, we don’t tend to dwell on alcoholism. We think of the many hard drugs that plague our communities, but we don’t consider the shiny can of beer in our grocery store as a drug. Alcohol is the number one drug problem in America, and there are over 12 million alcoholics in our country. Those are the ones we know about. Learn about Alcoholism. A person dies in America every 30 minutes from an alcohol related car accident. Beer and liquor may be legal, but they ruin lives and kill the same as any dangerous drug. Alcohol is a legal substance and widely sold in our country. Its users most times are able to do so in such a manner that is relatively harmless. Yet, you’ll rarely find a drinker that doesn’t have at least one story of huge embarrassment purely caused by alcohol use. Most times there are many of those stories, and alcohol use leads to many family disputes and marriage disruptions. How do we know if we have crossed the line into full blown alcoholism and need to seek help? When the party never ends, it’s a pretty good bet there is a serious problem. 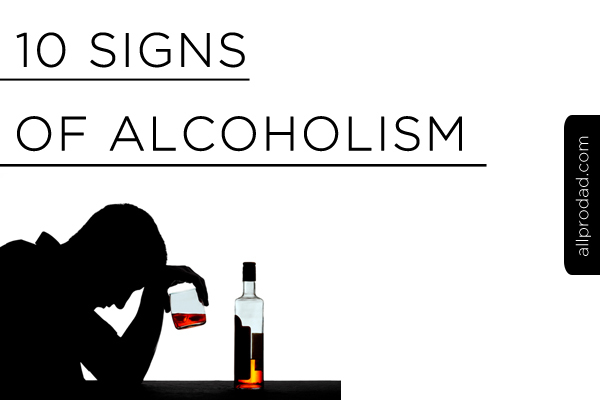 Here are 10 Signs of Alcoholism to help you learn the red flags. Important Note: Change is possible and a good thing. If you are struggling with any of the indicators below, seek help. When a person chooses to use alcohol despite a known risk that could endanger themselves, their families, their livelihood, or even the lives of other innocent people, that is a major red flag. Eventually the drinker loses and the risk wins. Drinking to the point where you can’t remember what happened during the binge. 3. Not Knowing When to Stop. Everyone else at the get-together has either stopped drinking or has long gone home. You are still going and get defensive when told it’s time to stop. There never seems to be enough to get you to the same effect as it once did. For most people, drinking alcohol is a social activity. If you find yourself drinking large amounts all alone and starting to prefer it that way, you are heading down a very dark path. If you go for a few days not drinking and suffer symptoms such as the shakes, heavy sweating, anxiety, and being sick to your stomach, then you are addicted to the substance. 7. Ignoring Warnings and Consequences. You continue to choose alcohol even at the expense of relationships and your health. 8. Becoming Angry When Confronted. When the people that care most about you voice their concerns about your drinking, you respond in a defensive or angry way. If you start to miss obligations such as work or children’s activities because of your drinking, then drinking has become the priority. This one is easy. If society deemed your behavior as dangerous enough that it required cuffing your hands and placing you under arrest, then you have a full-blown major issue.